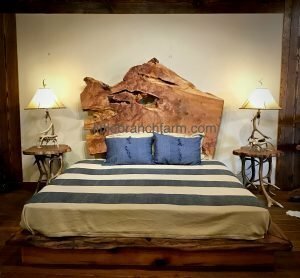 Wood slab log bed as pictured is SOLD but please contact us. Price also includes our standard shipping! 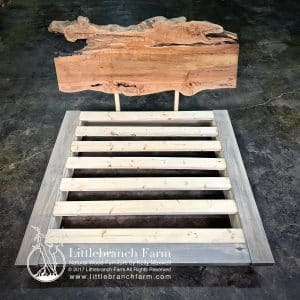 This wood slab log bed has twisted juniper logs post with live edge redwood. 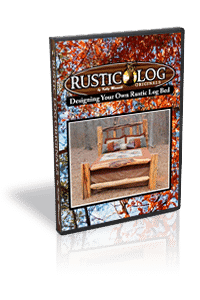 Each one of a kind rustic bed is available in king and queen size. 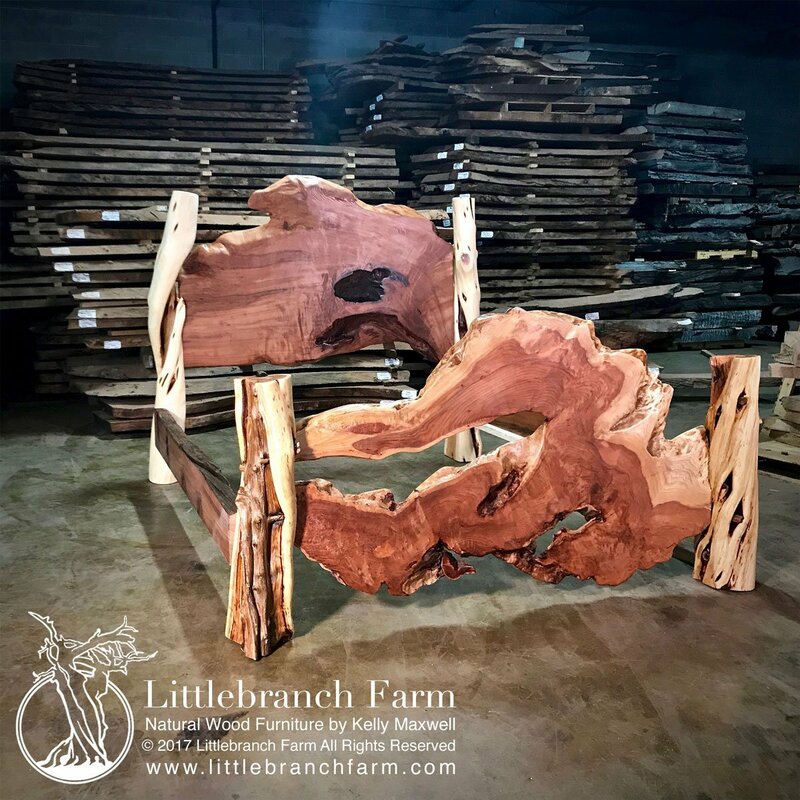 Although Buckeye Burl, Bigleaf Maple burl, Claro walnut, and live edge wood slabs can be used. 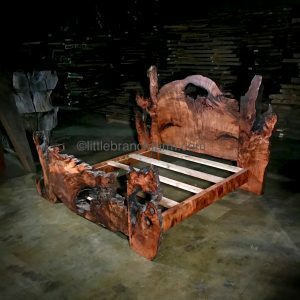 Also, this style rustic bed is fully customizable and is available in a rustic bunk bed either twin or queen size. 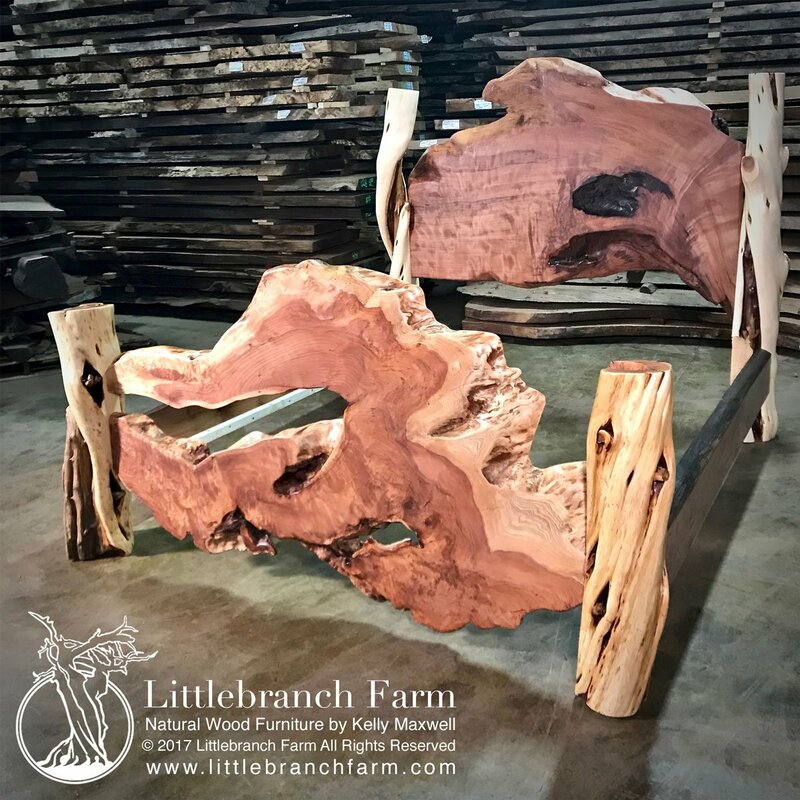 Whether you a seeking a handcrafted natural wood bed or rustic table we are your one-stop shop. We specialize in our style of custom rustic furniture but also design and build a style of mid-century modern furniture and live edge furniture. 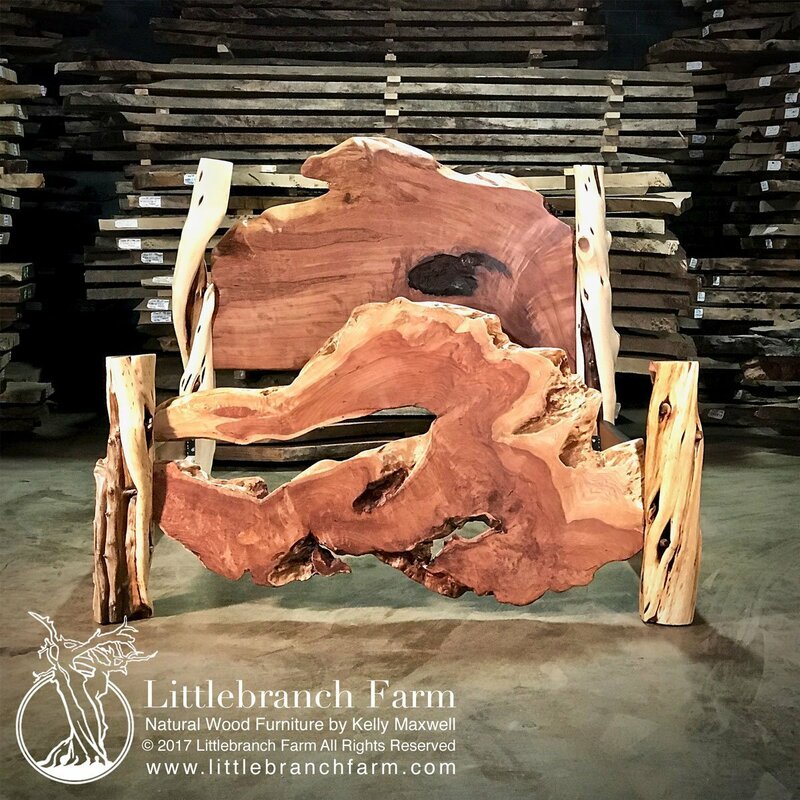 Also, we prefer to us ethically sourced wood slabs native to the USA.